Whilst Australia isn't new to having some seriously heavy hitting musical exports, hell, I've featured countless ones on here, there's no denying Little May being one of - if not their best yet. 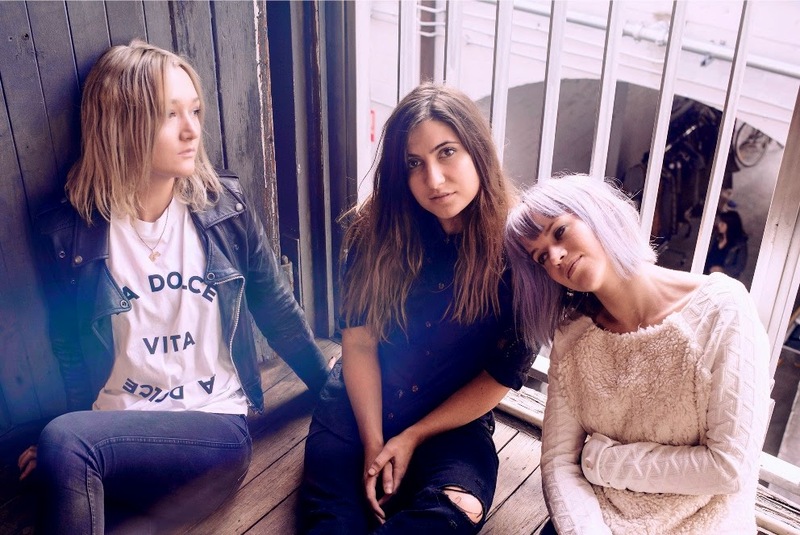 Displaying stark vulnerability in their intricate and exquisitely pieced together compositions, the Sydney based trio bring a refreshing sound to our ears as we embark on their journey of self-discovery. Taken from the bands self titled debut EP which is released in October 2014 they return with an official video to their single, Dust. Through its turbulent tempo shifts and achingly raw percussion comes a gorgeous record that continues to give long after the final notes bleed out, its crescendoing finale raising us to dizzying heights. Documenting every stage of grief one goes through when the loss of a pet becomes a sad reality, from denial and anger to the awakening acceptance, the official video acts as the perfect accompaniment to the track's home-hitting lyrics. Describing the video the band go on to say “Oh Yeah Wow were intrigued by the concept of how we, as viewers, are often more affected by the loss of an animal than of a human on screen. They wanted to explore the power in this, which we immediately connected to. There is a real purity and simplicity in the story. We felt like it was the best fit for this song”. Take a watch above.